Many of my friends dream about starting their own business but they never do it. Here are 10 tips that might help you finally find your idea and get started. Creativity rarely happens in meeting rooms. 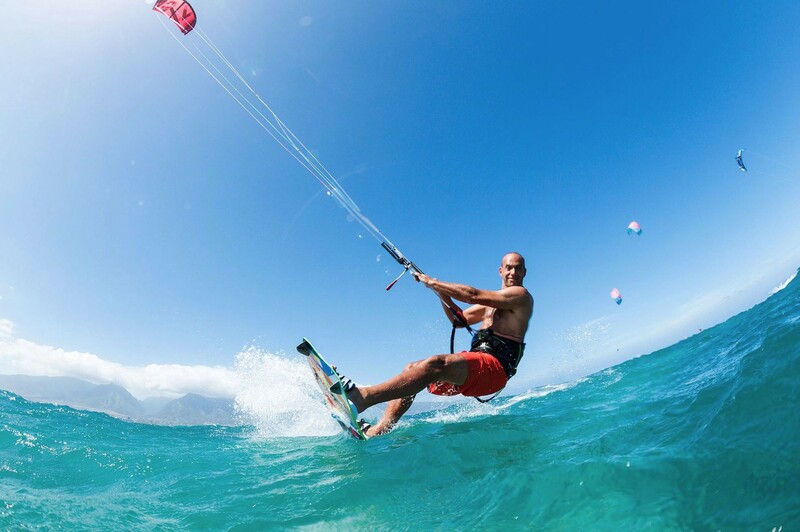 I have had my best ideas kite-surfing, running, biking or simply hanging out with my family. Being a workaholic locked in your office won’t help much. Go out and do something new. When Brian Chesky and Joe Gebbia founded AirBNB, they had no idea it would become the largest threat to the hotel industry with 250,000 rooms in 30,000 cities. All they wanted was to make some quick cash to help pay their rent and decided to rent an extra room. There is no way of knowing what will be revolutionary until the first users start to love it and tell their friends. I have launched 6 startups and the most successful one is the only one that I did not even think would be a real business when I started it. My conference LeWeb gathered last year 5,000 entrepreneurs from 80 Countries in Paris and London. It’s a great business and just got acquired by Reed Exhibitions. When I launched it with my ex-wife Geraldine all I wanted to do was to help entrepreneurs in Europe by bringing them a platform for success, help them find ideas, investors and key partnerships. Most entrepreneurs in Europe focus too much on their own country and language so we made it international and all in English from day one. We launched LeWeb at the French Senate who gave us the free venue. Telling them it was in English only did not come to my mind. Me: “no, why? We want to help entrepreneurs go international and if they don’t speak English they should not join”. That was the first controversy and of course, we kept going and got lots of press thanks to this unexpected advertising. The second controversy was that we forgot to bring coffee (and croissants) to those who travelled from so many countries to join. But it did not matter. Passion and content was there and LeWeb doubled in size when we did the next one. My friend Niklas Zennstrom, founder of Skype, created it thinking it would be a wifi sharing software and had no idea it would become the most popular voice over IP communication app ever. Stewart Butterfield got Slack to be worth billions after failing at launching a game. His team created Slack for their own personal communication needs and that replaced the game and became the main focus. Who would have been able to predict that, including Stewart himself? It will come when it will come. The best way I found to ignite creativity is to go meet friends doing interesting and different things than yours. Go and visit them, have lunch with them, ask them if you can help. If you have more time offer them to spend a day or a week helping them. Something will come out of it. I’m doing exactly this and something always comes out of it for both of us in the end. Most people resist change and will always focus on why you will fail. It’s natural and human. That’s why those people don’t create a business ever. Arguably the most successful entrepreneur in France these days, Xavier Niel, launched a school to learn coding called 42. Developers are the most in demand resource and the fastest career to find a job if you’re young. If countries focused more on training developers they would have less troubles with unemployment for sure. Well, I have been reading lots of criticism on why Xavier would fail. As always, Xavier does it differently, he doesn’t care about the diploma but much more about the job the young developers will land in the end. So the establishment doesn’t like it and criticizes him. Xavier has revolutionized the telecom industry in France and became a billionaire by not listening to anyone who says he will fail. Yes, the French have a word for entrepreneurs. I’m also a business angel and I’m regularly getting pitched. Many emails ask for an NDA before they explain their revolutionary idea. Well, asking this is a sure way for me to archive immediately the email. The only way to protect your idea is to execute it fast. The only way to get feedback on your idea and improve it is to share it. Protect too much and for sure, someone else will succeed with your idea. In fact it’s probably already happening somewhere. I generally even share it on social networks before I even start working on it. That way I know if it gets traction or not. I rarely invest my time or money in products I don’t use. If it’s going to be your next business you’d better live and breathe it all day long. You should use it, love it and be obsessed on how to improve it. Focusing on your own passions or products you love yourself is a good start. Of course the founders of 1–800-get-junk are probably not obsessed and in love with their trash but they probably got the idea because they had the problem themselves. You’re ambitious, fantastic, you should be. You want to make millions and go public? That’s okay and will probably help you work like crazy and have that extra motivation entrepreneurs need. Mind you, it’s not about money though. None of my friends who succeeded have been focused on money, they are focused on passion, value and customer happiness. Read “Rework” by Jason Fried of 37signals, it will help you understand that if you pick a niche you love you need very few customers to be happy and succeed. No need to go public and go big. That reminds me I have to read it again. That’s Reid Hoffman, founder of LinkedIn, saying that you’d better get your product out as soon as possible. Launching fast will help you form a community of users that will give you good feedback to iterate from. Listen to them and build the product they need. It will also help you get established as the leader in the space you’re launching just because you’re doing it and the World can see it. Be ashamed. Launch. Improve. DO things and stop thinking about them. It’s ok if you fail. Go make mistakes. I make mistakes and fail every day and ignore everybody. I’m having huge fun doing it and sometimes I even create things that work and people love. It doesn’t matter when I fail, I will succeed next time. What’s the best way for you to get new ideas?